These youngsters started the day off for Wetherby. Lauren performed her first backwalkover on floor and handstand on beam. Olivia performed a strong full spin on floor and placed 3rd on bars. It was Jess’s first competition. She showed such improvement on bars performing circle up and back hip circle with ease. Billie was also competing for the first time. Performing a handstand forward roll on floor with a handstand that seem to hold forever. 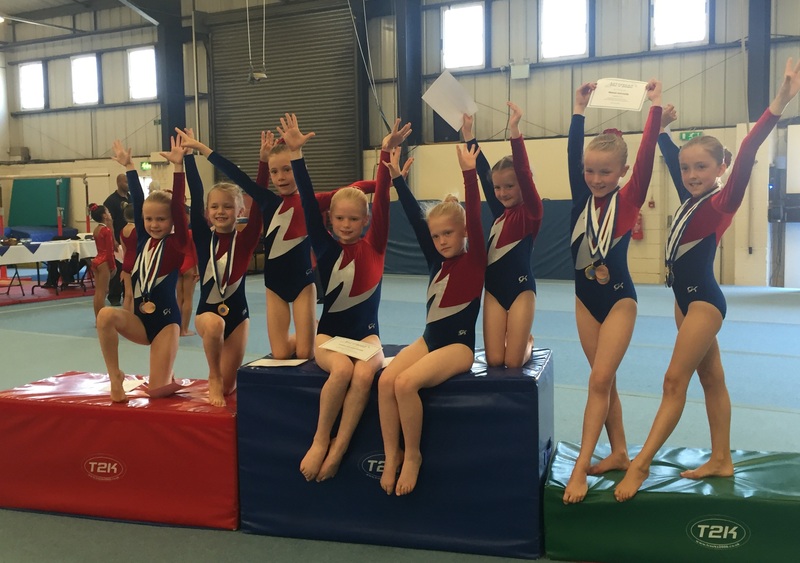 Martha was our youngest gymnast competing for Wetherby at her first competition. She placed 4th on floor and performed a super straight jump on the vault. Imogen was also competing for the first time. She worked hard to learn all her routines. The coaches were very pleased with her vault and bars. Evie at her first competition placed 1st on Vault, 4th bars, and 4th on floor. Well Done. Romilly at her first competition placed 3rd on beam, 3rd on floor, and 4th overall. Brilliant. 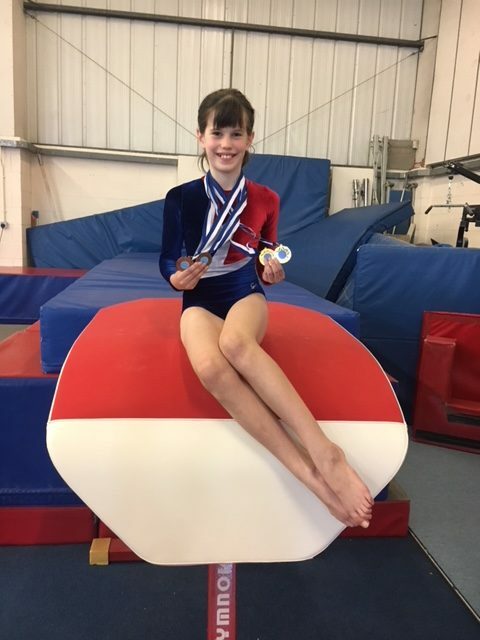 Maisie had a super day to place 1st on beam, 3rd on bars, and 3rd overall. Super work. Rosie at her first competition placed 3rd Vault, 2nd beam, 2nd floor and 2nd overall. WoW! Poppy was the last to compete for Wetherby and had a super day. Performing with confidence to place 3rd Bars, 1st Beam, 1st Floor and 3rd overall. Performing for the first time cartwheel on beam, handspring on floor and squat on to catch the high bar. 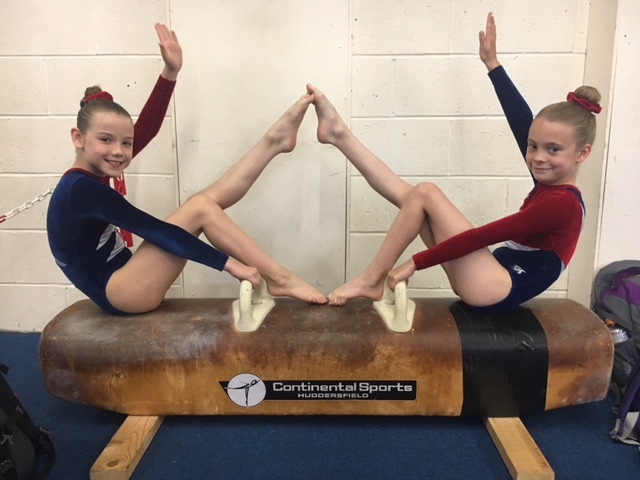 Thank you to coaches Nichola and Sharon for their hard work and preparing the gymnasts for competition. Thank you to Mrs Nobbs for judging all day.